DB2 Schema is a collection of named objects classify logically in the database. In a database, it is not possible to create multiple database objects with same name. To do so schema provides a group environment. 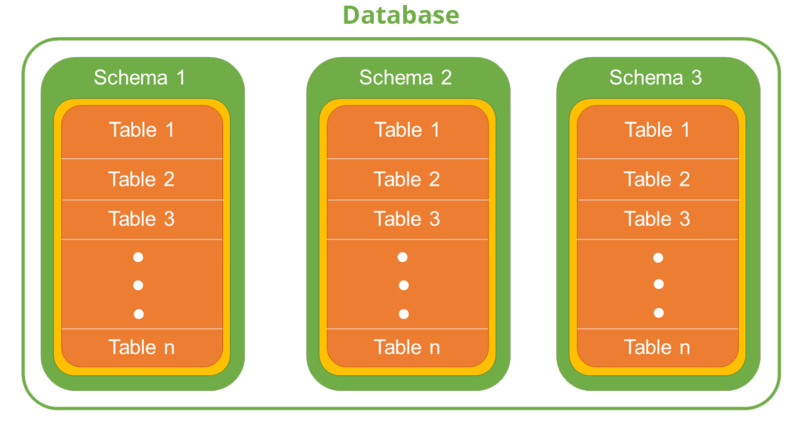 You can create multiple schemas in a database as well as multiple database objects with same name, with different schema groups. A schema can contain tables, functions, indices, tablespaces, procedures, triggers etc. 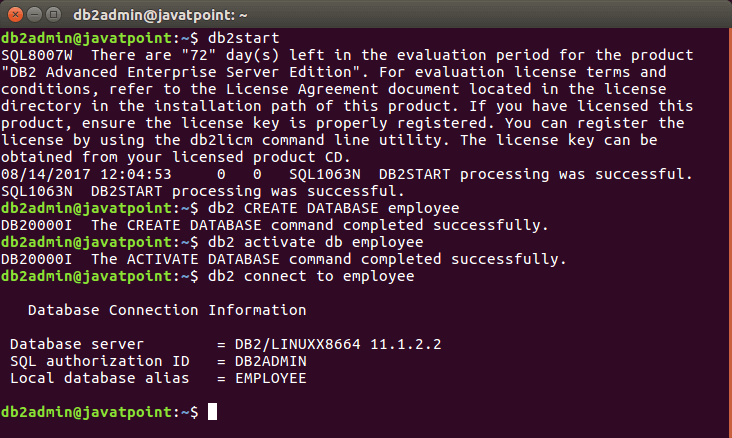 For example, you create two different schemas named as "Regular" and "Parttime" for an "employee" database. You can also create two different tables with the same name "Employee" where one table has regular information and the other has parttime information of employee. It doesn't have actually two tables with the same name in spite they have two different schemas "Regular" and "Parttime". It facilitates user to work with both without facing any problem. This feature is useful when there are constraints on the naming of tables. Let us create two different tables with same name but two different schemas. Here, you create employee table with two different schemas, one for Regular and the other for Parttime. Step 1: Create two schemas. Now you can see that both commands are executed successfully.